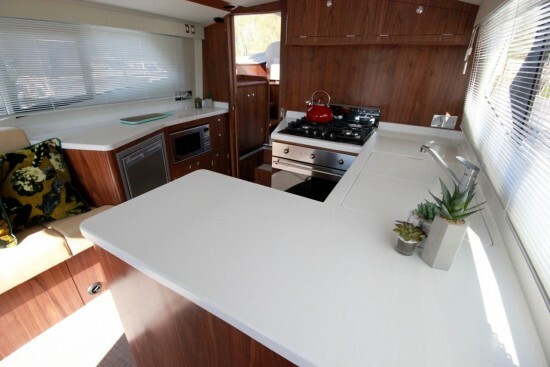 Offers spacious luxury almost beyond belief. 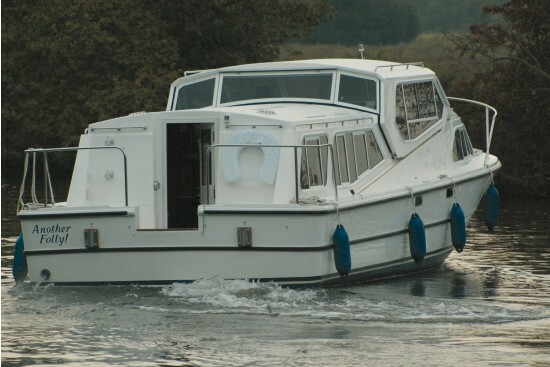 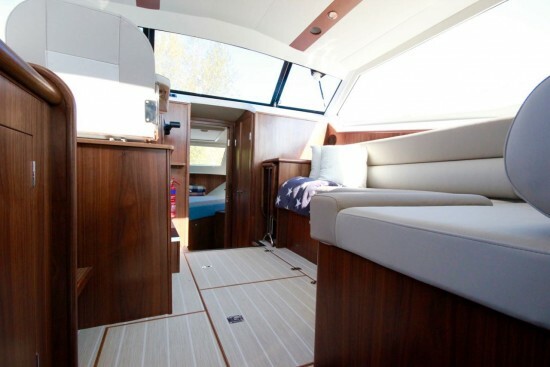 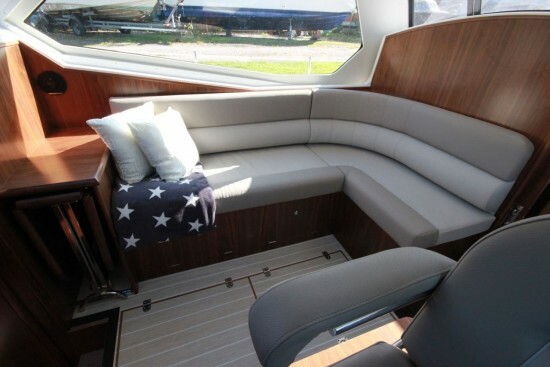 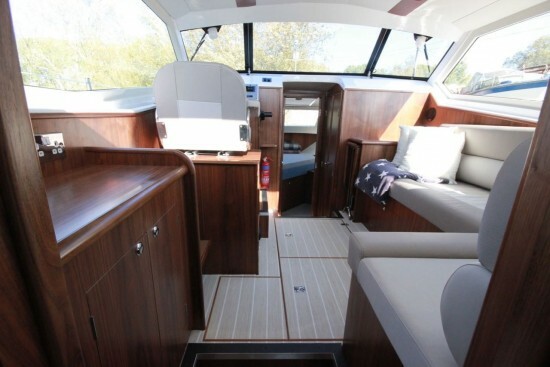 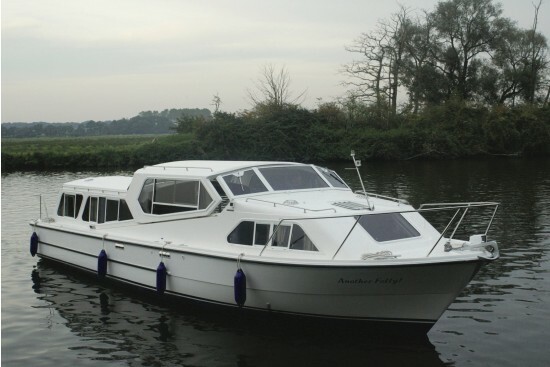 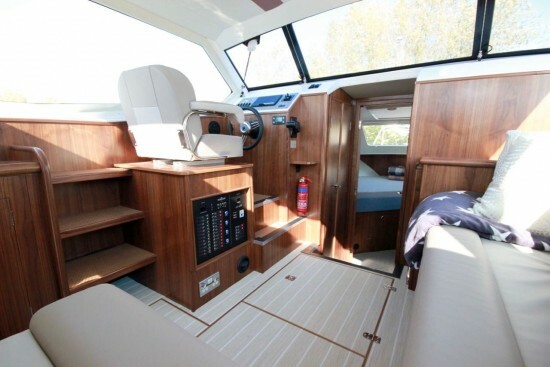 The exceptionally high specification is designed to satisfy the most discerning of boating enthusiasts. 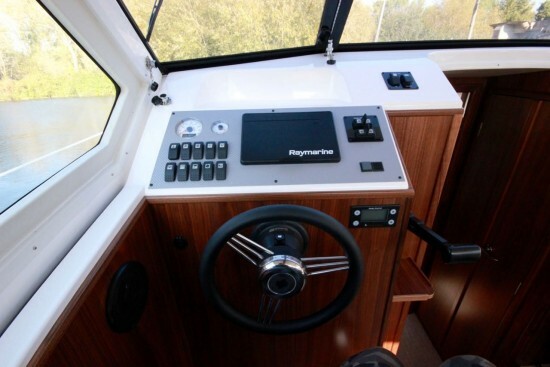 The all GRP hull and superstructure with the versatility of the sliding wheelhouse roof, allows open-air living whilst retaining indoor comfort for an extended cruising season. 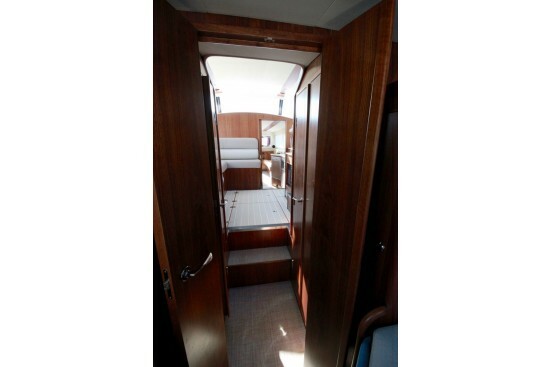 The interior layout permits 4/6 berth accommodation with a double berth master cabin and associated toilet and shower forward. 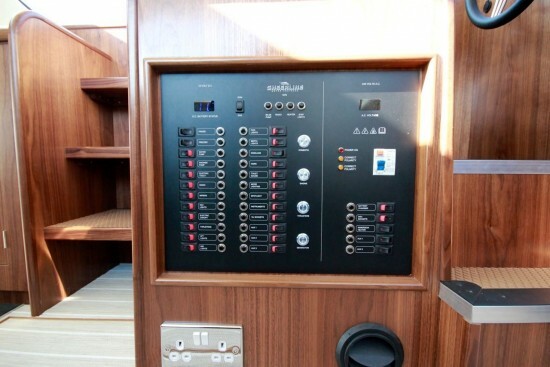 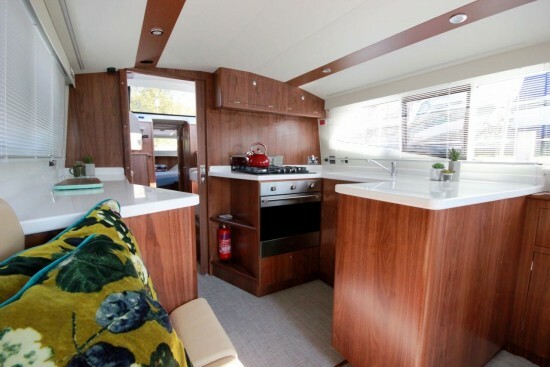 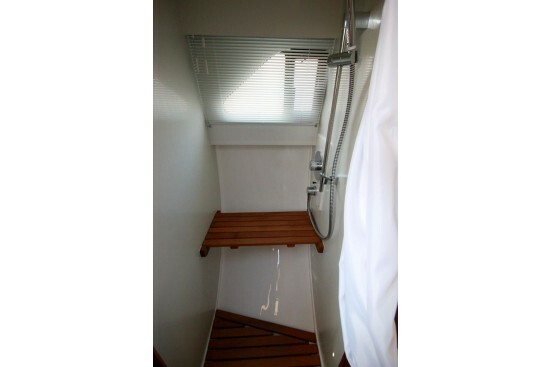 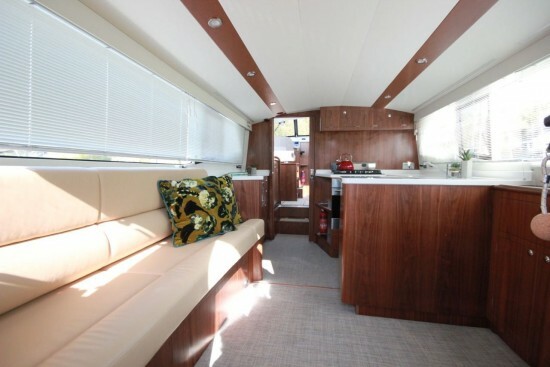 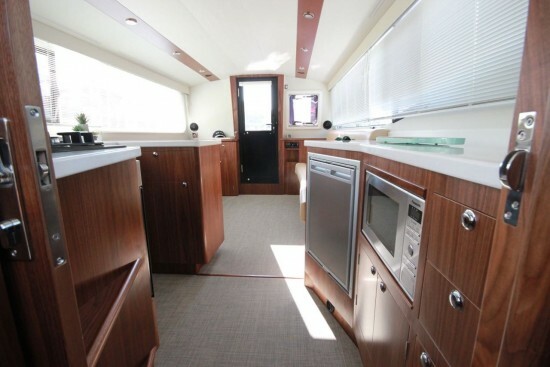 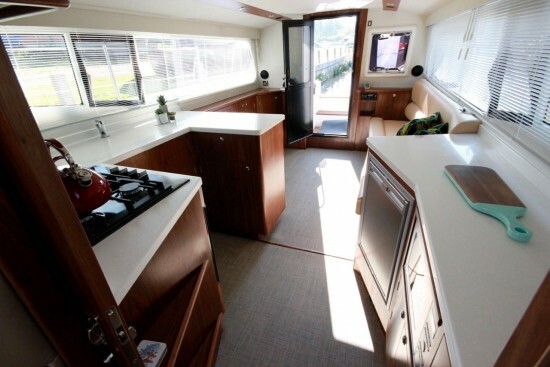 The galley/dinette area can be fitted with a second toilet and shower compartment. 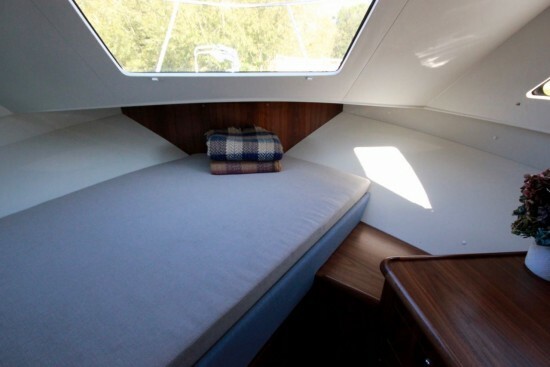 Access is either through the rear cockpit well or by steps to the side deck from the central wheelhouse saloon with its comfortable L-shaped settee. 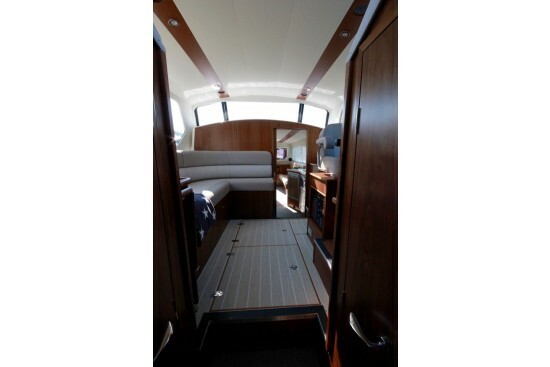 The winch-assisted wheelhouse saloon roof slides on to the aft cabin roof and together with fold-down screens gives a very low air draft for extended river cruising.